°SOUTH also called 'Degree South', is a photographic collective of Australia's most creative and award-winning documentary photographers who have covered conflicts from Vietnam to present day Afghanistan. 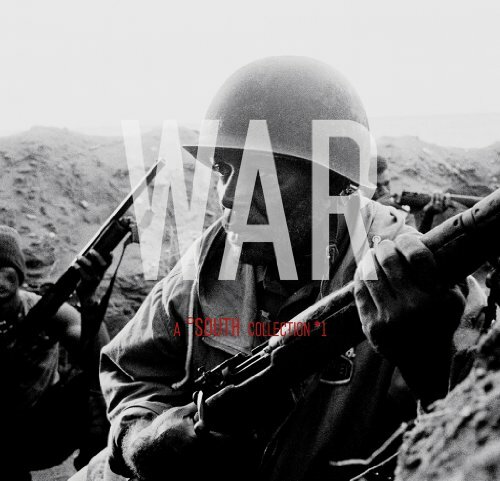 This collection of images truly illustrates that war is the disease of humanity. There has never been a time that it didn't exist. Once, the battlefield was the place of devastation. Now it is streets, alleyways, schools and places of worship. People and places are no longer protected or sacred. During times of war it is now officially safer to be a soldier than an unarmed civilian. In WWI, five percent of casualties were civilians. WWII the figure was fifty percent. In 1990, planet earth was host to 32 conflicts or wars and ninety percent of the casualties were civilians. Nearly all of them women and children. Things have not improved and at present there are 43 conflicts taking place on our planet. These remarkable photojournalists came together under the name of °SOUTH to collaborate and share their experiences rather than compete. They have all worked independently, free from commercial influences, all are acclaimed and all have dedicated their careers to recording what they see in a fair, truthful and informative way. Their stories of struggle, hope, aspirations and traditions is how they have 'gathered evidence' that will hopefully influence public opinion, be of historical significance and hopefully create social change.